This time last year I was preparing for battle with Target Online for a Missoni sweater (which I subsequently won) and also gearing up for a trip to NYC for my very first fashion week. It was at Mercedes Benz Fashion Week that I found a stronger love for Nanette Lepore and a new found love for Improvd and Lincoln Center. I chased after Rachel Zoe. I hollered after Stanley Tucci. I attended a Glam Media dinner where I met my blog bff, Ty from Gorgeous in Grey. I left NYC last September with a a fervor for blogging and networking that I had not felt before.I was convinced that I would be at every fashion week until the end of time... and then I got engaged. Fashion week is so super fun but barely anyone is getting a free ride. 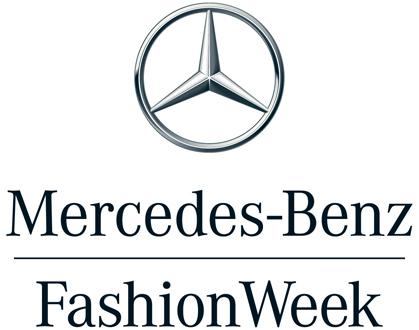 Unless you live in the Metro NYC area, you are going to have to pay your way to be in and around Lincoln Center during Mercedes Benz Fashion week. I was lucky enough to take the train but I know of bloggers who have to fly. Unless your blog or publication is making so much money that it can pay for your hotel in Manhattan, you are likely staying in Brooklyn or Queens, in order to afford the multiple nights' stay for your exciting fashion week. You are likely paying for this excursion with your own money, that you make at your day job, which you are taking vacation time from in order to be in the Metro NY area for MBFW. I know that until I can afford to quit my day job to blog, I will be paying my way to fashion week every time I go. When one gets engaged, it also costs money. It is a happy time, a time of looking to the future for all the exciting things that you and your partner will do together, hopefully great things! It is also a time to plan a wedding! Be it big or small, that shiz is going to cost you money. Fashion week in February passed me by. We had just put the deposits on a whole bunch of stuff and I missed the early registration for MBFW so it was going to cost me more to register and I wouldn't have been guaranteed shows... but I promised myself I would make it in September... I lied to me. I set a calendar update for the day registration opened for the SS13 shows. The day of, I filled out the registration all the way up until I went to pay for my pass. I looked at the calendar. Fashion week fell less than 2 weeks before my friend Nathalie's wedding, which I was taking time off for. I was getting ready to go to Chicago for her bachelorette. I had just given another chunk of money to our photographer, I had just paid for my Fall class... at that moment in time, I just couldn't pull the trigger to register for Fashion Week this year, which, on paper, looks a whole lot like a vacation. Let's face it, are the posts that I am going to write on fashion shows that I go to, going to break the mold of the ever growing fashion bloggersphere? Doubtful. Would I put my own spin on it? Of course, but at this stage in my 2012 game, I had to weigh the priorities. I get married at the beginning of January and will be taking a huge chunk of time off of work, so while I would like to say that I will try to make it in February, I know in my heart that is going to be a tough one. Maybe next September, Ill have it together, but for this year, Fashion Week will be spent online. Don't be too disappointed, maybe you can go again next fall? At least you are not being selfish and you are thinking of your partner, which makes you a really wonderful person!